This Post has already been read 1298 times. At the heart of this service is the brand new app, which is currently only available on iOS, that too just on the iPhone. This app pulls all the tracks that are being listened by the people you follow by going through their tweets and also shows what other people are listening. You will also find your favorite artists here, with profile pages just like on Twitter, and you can choose to follow them and listen to their music and find out what they are up to. You can also tweet the songs you are listening to from within the app. Twitter itself does not host the tracks you will be listening. The content is being provided by iTunes, Spotify and Rdio. iTunes handles all the song previews you will be listening to within the app and if you’re a subscriber to either Spotify or Rdio you can instantly start streaming the song. Twitter is already being used by people to announce and share the songs they are listening to. This new service will help others quickly start playing back those songs from within the app rather than go elsewhere and find it themselves. Unfortunately, the service is available in very limited form right now. Other than the iPhone-only app, the service will be available through the music.twitter.com site as well, but a few weeks from now. 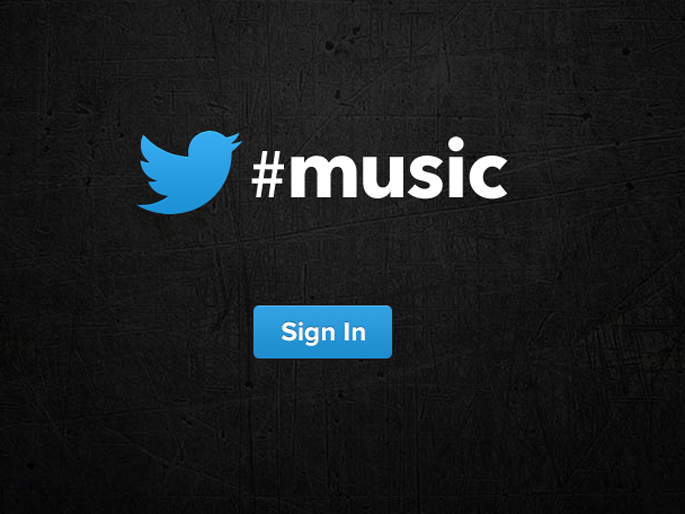 Also, Twitter #music is only available in US, Canada, the UK, Ireland, Australia and New Zealand for now. An Android app and support for other countries is said to be coming in future.